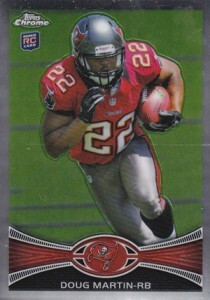 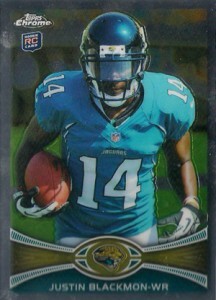 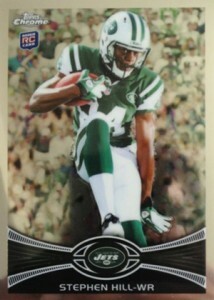 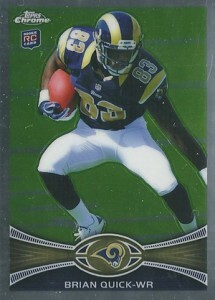 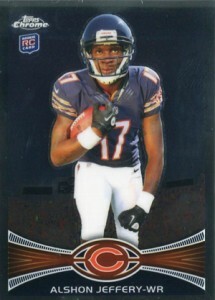 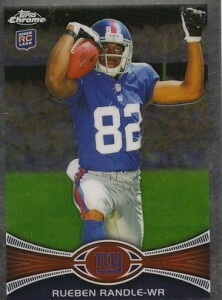 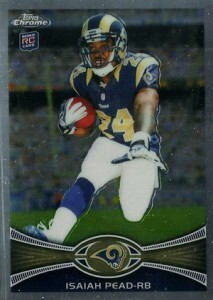 Rookie collectors have lots to chase in 2012 Topps Chrome Football. 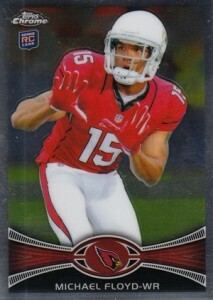 Besides the many Refractors, autographs, inserts and other surprises are 25 variation short prints. 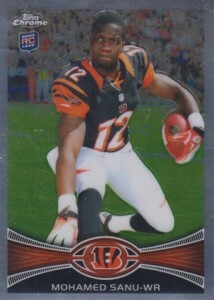 Tough to find, but not impossible, they offer an alternate take on the traditional rookie cards. 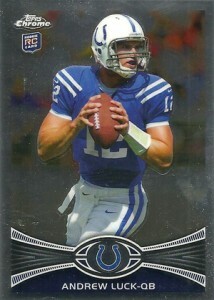 Shop for 2012 Topps Chrome Football variations on eBay. 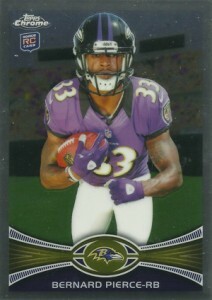 2012 Topps Chrome Football variation short prints fall 1:76 hobby packs and 1:318 retail packs. 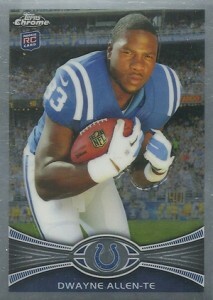 They feature a different photo on the front. 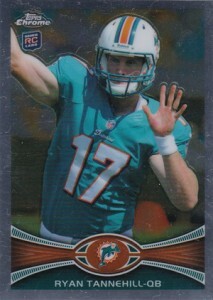 The rest of the card is the same. 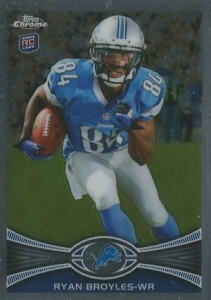 Variations do not have Refractor parallels. 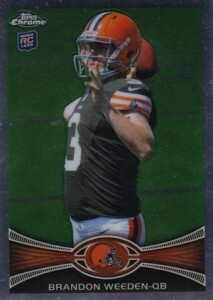 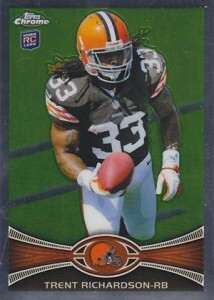 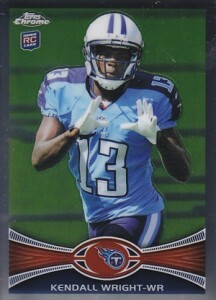 For those who collected 2012 Topps Football, these rookie variations may look familiar. 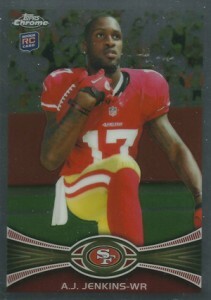 Like the base cards, they use the same variation photos as those used in the flagship set. 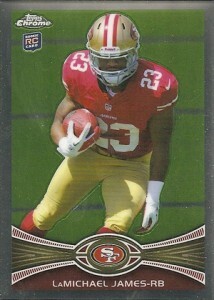 While the flagship set had veteran variants as well, 2012 Topps Chrome Football sticks with just the rookies. 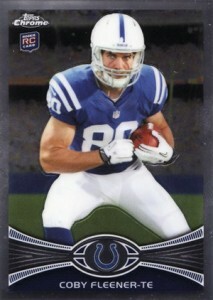 Also, Andrew Luck had two variations in 2012 Topps Football, he has only one in Chrome. 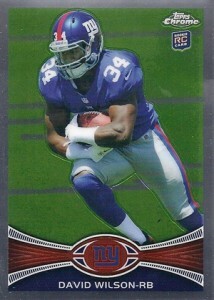 Below is the complete list of 2012 Topps Chrome Football variations. 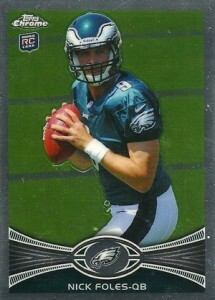 Wherever possible, we've also included images for easy reference. 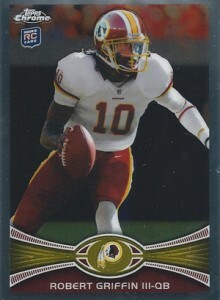 We'll be adding the missing images as they become available (you can also check the 2012 Topps Football variation gallery and imagine a chromium finish). 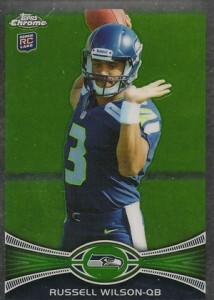 40 Russell Wilson, Seattle Seahawks - "waiter hand"
Nick Foles 2012 Topps Chrome Variation SP RC BGS 9 Eagles !!!!! 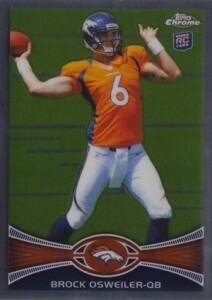 Does anyone know what the odds are for the refractor version of these variations?